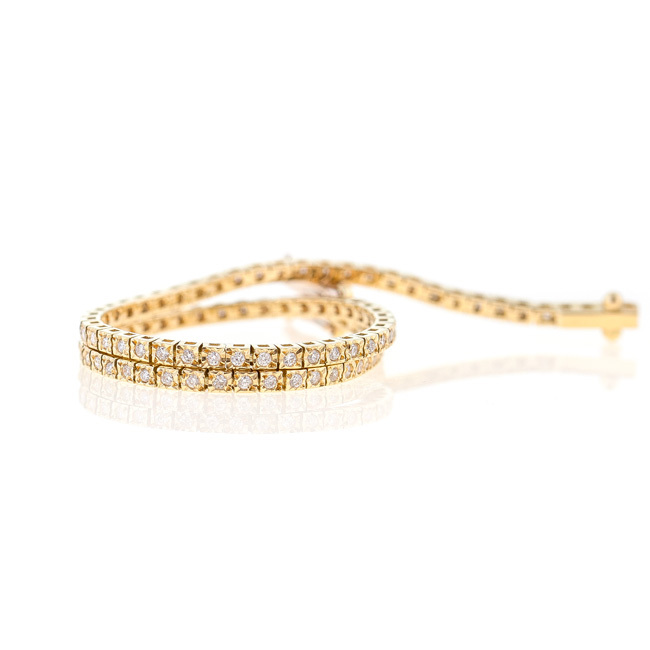 A diamond tennis bracelet is the gold medal of jewellery pieces. To own one is a milestone and to love one, well that’s easy. Our collection of tennis bracelets features top quality white diamonds set in place with our special cutting technique, making them appear bigger and brighter that in a regular bracelet setting. More bang for buck? That’s what I love.